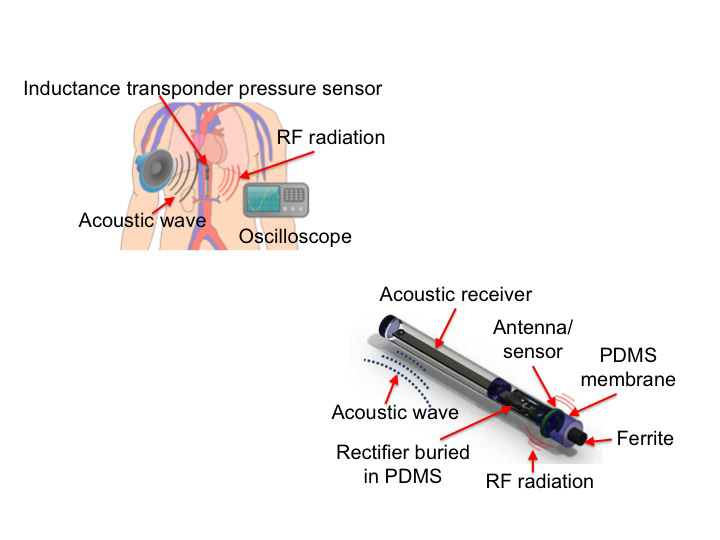 Acoustic waves from music, particularly rap, were found to effectively recharge the pressure sensor. Such a device might ultimately help to treat people stricken with aneurisms or incontinence due to paralysis. 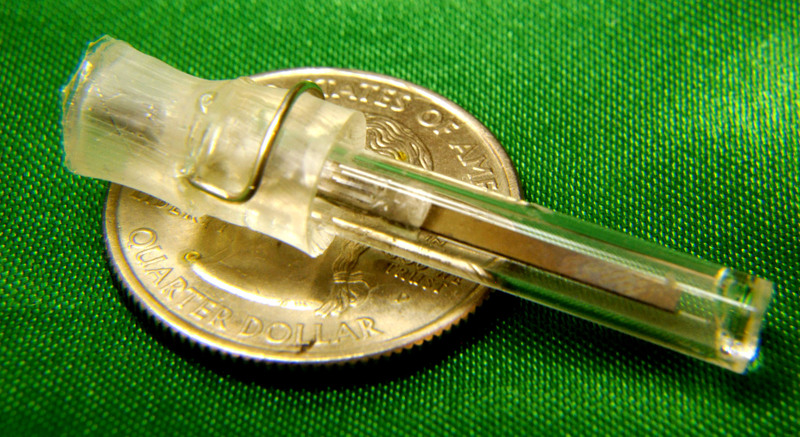 The heart of the sensor is a vibrating cantilever, a thin beam attached at one end like a miniature diving board. Music within a certain range of frequencies, from 200-500 hertz, causes the cantilever to vibrate, generating electricity and storing a charge in a capacitor, said Babak Ziaie, a Purdue University professor of electrical and computer engineering and biomedical engineering. Findings are detailed in a paper to be presented during the IEEE MEMS conference, which will be Jan. 29 to Feb. 2 in Paris. 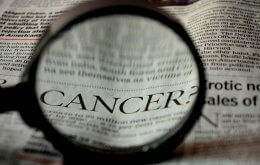 The paper was written by doctoral student Albert Kim, research scientist Teimour Maleki and Ziaie. “This paper demonstrates the feasibility of the concept,” he said. The device is an example of a microelectromechanical system, or MEMS, and was created in the Birck Nanotechnology Center at the university’s Discovery Park. The cantilever beam is made from a ceramic material called lead zirconate titanate, or PZT, which is piezoelectric, meaning it generates electricity when compressed. The sensor is about 2 centimeters long. Researchers tested the device in a water-filled balloon. A receiver that picks up the data from the sensor could be placed several inches from the patient. Playing tones within a certain frequency range also can be used instead of music. Researchers experimented with four types of music: rap, blues, jazz and rock. “Rap is the best because it contains a lot of low frequency sound, notably the bass,” Ziaie said. “A wireless implantable device could be inserted and left in place, allowing the patient to go home while the pressure is monitored,” Ziaie said. The new technology offers potential benefits over conventional implantable devices, which either use batteries or receive power through a property called inductance, which uses coils on the device and an external transmitter. Both approaches have downsides. Batteries have to be replaced periodically, and data are difficult to retrieve from devices that use inductance; coils on the implanted device and an external receiver must be lined up precisely, and they can only be about a centimeter apart. A patent application has been filed for the design. This paper presents design, fabrication and implementation of a novel electromechanical energy scavenging and wireless interrogation scheme using low-frequency components of musical vibrations to overcome challenges associated with previously reported passive transponders such as: short transmission range, misalignment sensitivity and complicated receiver circuitry. The transponder has two phases of operation: 1) mechanical vibration phase, in which an acoustic receiver (a piezoelectric cantilever) converts the sound vibration into electrical power and charges a capacitor; and 2) electrical radiation phase, in which the stored charge is dumped into an LC tank, forcing it to oscillate at its natural resonance frequency and emitting the energy to an outside receiver. In a pressure-sensing configuration, the distance between a planar coil and a ferrite core is modulated by the pressure, thus changing the inductance and, in turn, inducing a change in the frequency of the emitted signal. A prototype transponder was built and tested using a PZT cantilever with a mechanical resonant frequency of 435 Hz encapsulated in a glass capsule (length=40 mm, diameter=8 mm) along with a rectifier circuitry and a storage capacitor. The inductive pressure sensor located outside the capsule had a sensitivity of 2.5k Hz/kPa. We were able to easily pick up the transmitted RF pulses at distances of up to 7 cm without the tight requirement on alignment between the receiver and the transponder coils.